My Husband Is The Electronics's Man In Our Household! He Enjoys Playing Gaming Systems Like Xbox, Playstation & Even Computer Games. I Was Excited When Janessa From Thrifty Nifty Mommy Mentioned Pulse TV To Me & Dynabass Headphones! When My Husband Is Playing Games Or Watching A Movie On His iPhone, He Can Easily Plug In The Dynabass Headphones & Quietly Enjoy His Game Or Movie With Out Disturbing Anyone Else! Dynabass Headphones Have An Adjustable Band & Not Only Look Great But Are So Comfortable! With An Extra Long Cord & Padded Ear Cushion I Had To Try Them On After Hubby! I Was Very Impressed With The Sound Quality & The Fit Of These Headphones! Buy It: Visit Pulse TV To Purchase Your Own Dynabass Headphones Or Any Of Their Other Great Items! 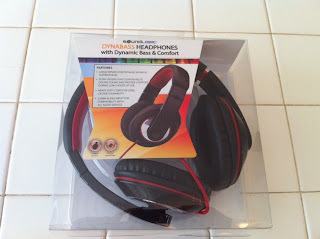 Win It: One Lucky Reader Will Win Dynabass Headphones Like The Ones I Reviewed Above! Would love the four channel helicopter for my hubby!